Are you afraid of your Ghost? Yeah right! Expresso riders relish the opportunity to crush these ghastly ghouls and set new personal bests. Get out your ghost busting spin shoes and get ready to ride! You will earn 100 points for every new Personal Best you set during the challenge. You must have ridden the tour once before in order to set a new Personal Best and you can only set one new Personal Best for each tour. 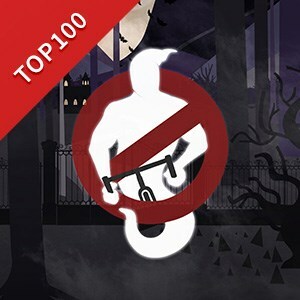 Score 1,000 points to earn your Ghost Buster Badge, unlock the ability to purchase the official Ghost Buster Jersey, and be entered into the Top $100 Lottery. The team with the most points will win the official Ghost Buster Trophy.